It is our goal to provide you with the best possible products and information. Our online site will allow you to learn more about our lines, and will give you the opportunity to download information on demand. Our online data browser has been setup to help you locate, and obtain specifications on our large selection of Roto-Phase Rotary Phase Converters, Power Factor Correction Capacitors and Bus Bar Assemblies. Thank you for visiting. 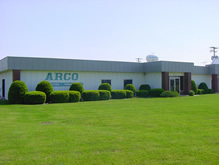 Explore the site and History of ARCO. The Roto-Phase name stands for more than Quality, Performance, and Dependability...it stands for Service and Technical support from a long list of long-time customers to a first-time installer or first-time buyer. The rotary phase converter industry has changed dramatically; requiring skilled knowledge of three-phase equipment and its application for the best service and technical support available. The ARCO staff of applications engineers will provide the best service and technical support available in the rotary phase converter industry. 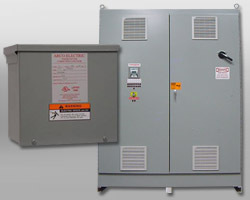 Power Factor Correction Capacitors – a Reactive Solution. ARCO Electric Products can provide the customer with a Reactive Solution for reducing utility penalties, reducing kVA demands on the service in all low voltage, 600 volt and below applications. From standard catalog fixed capacitor banks to fully automatic controlled units with tuned harmonic reactors a solution to the customers needs is available. ARCO Electric Products provide standard and custom Bus Bar Assemblies. 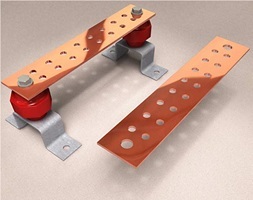 Bus Bars can be ordered as part of a grounding kit including lug holes, standoff insulators, and mounting brackets. Custom sizes, cuts, bends, and plating are also available. Standard ARCO Bus Bar Assemblies ship within 2-5 business days and come with the same quality and service you have come to expect out of an ARCO product.